Dancers are working professionals who can sometimes go un-noticed and un-appreciated. For this reason, we were excited about the opportunity to be invited to the Bessie Awards. While the Bessie Awards have been around for over 30 years, this was Dance Mogul Magazine’s first time covering the prestigious ceremony. Dance Mogul was honored to be in a room full of givers, achievers and dance enthusiasts from all walks of life. We were also excited to have our video coverage featuring Memphis Jookers Ryan Hasket, Daniel Price, and Charles Lil Buck Riley be up for an award. Dance Mogul has been covering the Memphis Jookin dance style for five years and it has been an honor to watch the style and its ambassadors grow. 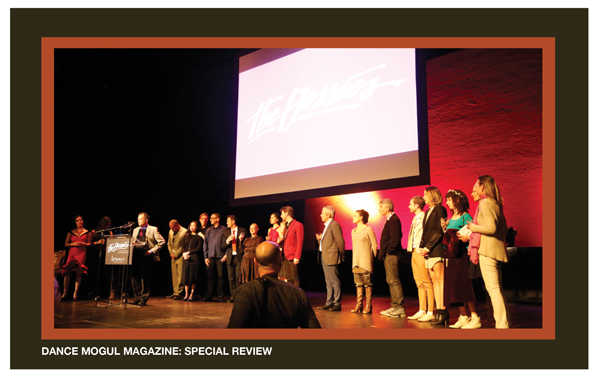 Dance Mogul Magazine was also there to spotlight Emerging Choreographer Bessie Award winner Storyboard P. Like the Memphis Jookin culture, we have been covering Storyboard P for five years. He was actually one of the first dancers to be featured in the first issue of Dance Mogul Magazine back in 2010. When we first met Storyboard P, it was clear to us that he had deep love for dance. It has been great to see him grow from a young boy battling in the streets of Brooklyn to a man who is now accomplishing his dreams, one of which is to take care of his family. Storyboard P can currently be seen in the new Apple Watch commercial. To fully understand what this means, think for a moment about all the famous ballerinas who they could have chosen from famous dance companies. Or, think about all the other street dancers that they could have used. Our research shows that Storyboard P is one of the most viral dancers in the world. This latest Apple Watch commercial and the Emerging Choreographer Bessie Award are new milestones to add to a long list of achievements that come from pain, struggle, hard work and strife. When you talk to Storyboard P, he is clear about his purpose in life. He has deep love for his mother, and he is always working hard to build a stronger relationship with his father. 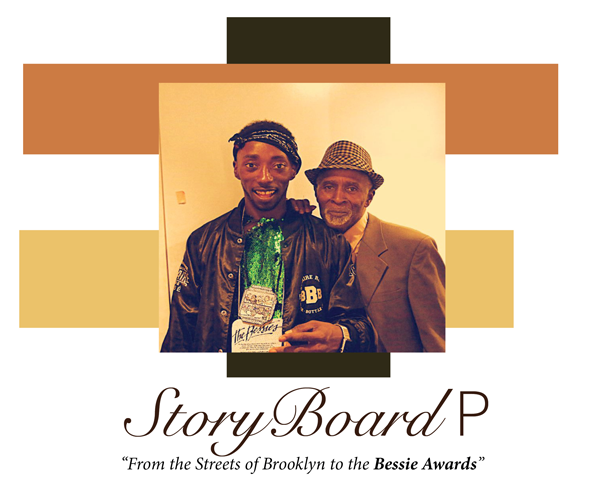 Storyboard P considers himself an Independent Dance Artist who sees no boundaries to his artistic expressions and future potential. In conclusion, The Bessie Awards spared no expense honoring the best of the best at the world famous Apollo Theater. Throughout the night during the speeches we heard familiar words like, purpose, collaboration, and gratefulness. Principles, we at Dance Mogul Magazine feel that are essential to the growth of the Arts and the individuals who participate in them. Congratulations to all the nominees and attendees for a beautiful night of dance and humility. Thank you to the Bessie Awards and all the people who worked behind the scenes to complete the production, and for having us among the guests. We appreciate you.